1 A None No Power Seat 1 A is a Business Class Bulkhead seat that offers extra space. However, the proximity to the lavatory and galley may be bothersome. There is no floor storage during takeoff and landing. 1 C None No Power Seat 1 C is a Business Class Bulkhead seat that offers extra space. However, the proximity to the lavatory and galley may be bothersome. There is no floor storage during takeoff and landing. 1 D None No Power Seat 1 D is a Business Class Bulkhead seat that offers extra space. However, the proximity to the lavatory and galley may be bothersome. There is no floor storage during takeoff and landing. 1 K None No Power Seat 1 K is a Business Class Bulkhead seat that offers extra space. However, the proximity to the lavatory and galley may be bothersome. There is no floor storage during takeoff and landing. 10 A None No Power Seat 10 A is an Economy Exit Row seat that has extra legroom. There is no floor storage for this seat during takeoff and landing. 10 C None No Power Seat 10 C is an Economy Exit Row seat that has extra legroom. There is no floor storage for this seat during takeoff and landing. 10 D None No Power Seat 10 D is an Economy Exit Row seat that has extra legroom. There is no floor storage for this seat during takeoff and landing. 10 K None No Power Seat 10 K is an Economy Exit Row seat that has extra legroom. There is no floor storage for this seat during takeoff and landing. 11 A None No Power Seat 11 A is an Economy seat that has extra legroom since there is no seat in front of it. There is no floor storage for this seat during takeoff and landing. 11 K None No Power Seat 11 K is an Economy seat that has extra legroom since there is no seat in front of it. 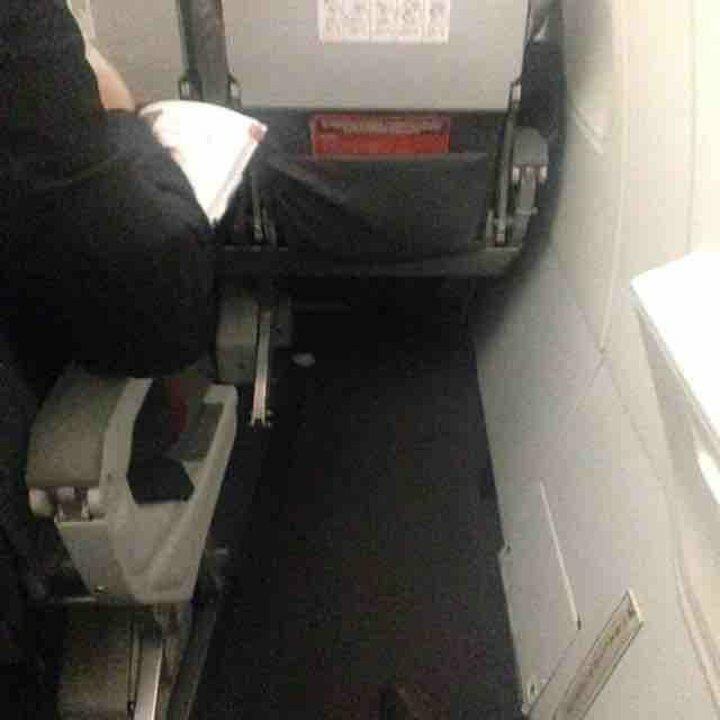 There is no floor storage for this seat during takeoff and landing. 2 A None No Power Seat 2 A is a Business Class Bulkhead seat that offers extra space. However, the proximity to the lavatory and galley may be bothersome. There is no floor storage during takeoff and landing. 2 C None No Power Seat 2 C is a Business Class Bulkhead seat that offers extra space. However, the proximity to the lavatory and galley may be bothersome. There is no floor storage during takeoff and landing. 2 K None No Power Seat 2 K is a Business Class Bulkhead seat that offers extra space. However, the proximity to the lavatory and galley may be bothersome. There is no floor storage during takeoff and landing. 21 C None No Power Seat 21 C is a standard Economy seat, however, the close proximity to the lavatories may be bothersome. 21 D None No Power Seat 21 D is a standard Economy seat, however, the close proximity to the lavatories may be bothersome. 22 A None No Power Seat 22 A is an Economy seat in the last row of the plane and may have limited recline. The close proximity to the lavatories behind may be bothersome. 22 B None No Power Seat 22 B is an Economy seat in the last row of the plane and may have limited recline. The close proximity to the lavatories behind may be bothersome. 22 C None No Power Seat 22 C is an Economy seat in the last row of the plane and may have limited recline. The close proximity to the lavatories behind may be bothersome. 22 D None No Power Seat 22 D is an Economy seat in the last row of the plane and may have limited recline. The close proximity to the lavatories behind may be bothersome. 22 E None No Power Seat 22 E is an Economy seat in the last row of the plane and may have limited recline. The close proximity to the lavatories behind may be bothersome. 22 K None No Power Seat 22 K is an Economy seat in the last row of the plane and may have limited recline. The close proximity to the lavatories behind may be bothersome. 3 A None No Power Seat 3 A is a Business Class Bulkhead seat that offers extra space. However, the proximity to the lavatory and galley may be bothersome. There is no floor storage during takeoff and landing. 3 C None No Power Seat 3 C is a Business Class Bulkhead seat that offers extra space. However, the proximity to the lavatory and galley may be bothersome. There is no floor storage during takeoff and landing. 3 D None No Power Seat 3 D is a Business Class Bulkhead seat that offers extra space. However, the proximity to the lavatory and galley may be bothersome. There is no floor storage during takeoff and landing. 3 K None No Power Seat 3 K is a Business Class Bulkhead seat that offers extra space. However, the proximity to the lavatory and galley may be bothersome. There is no floor storage during takeoff and landing. 7 A None No Power Seat 7 A is a Business Class Bulkhead seat that offers extra space. However, the proximity to the lavatory and galley may be bothersome. There is no floor storage during takeoff and landing. 7 B None No Power Seat 7 B is an Economy bulkhead seat that may have limited legroom. There is no floor storage for this seat during takeoff and landing. 7 C None No Power Seat 7 C is an Economy bulkhead seat that may have limited legroom. There is no floor storage for this seat during takeoff and landing. 7 D None No Power Seat 7 D is an Economy bulkhead seat that may have limited legroom. There is no floor storage for this seat during takeoff and landing. 7 E None No Power Seat 7 E is an Economy bulkhead seat that may have limited legroom. There is no floor storage for this seat during takeoff and landing. 7 K None No Power Seat 7 K is an Economy bulkhead seat that may have limited legroom. There is no floor storage for this seat during takeoff and landing. 9 A None No Power Seat 9 A is a standard Economy seat that may have limited recline due to the Exit Row behind. 9 B None No Power Seat 9 B is a standard Economy seat that may have limited recline due to the Exit Row behind. 9 C None No Power Seat 9 C is a standard Economy seat that may have limited recline due to the Exit Row behind. 9 D None No Power Seat 9 D is a standard Economy seat that may have limited recline due to the Exit Row behind. 9 E None No Power Seat 9 E is a standard Economy seat that may have limited recline due to the Exit Row behind. 9 K None No Power Seat 9 K is a standard Economy seat that may have limited recline due to the Exit Row behind. Every Business Class seat is equipped with a regular 110V power and USB port. 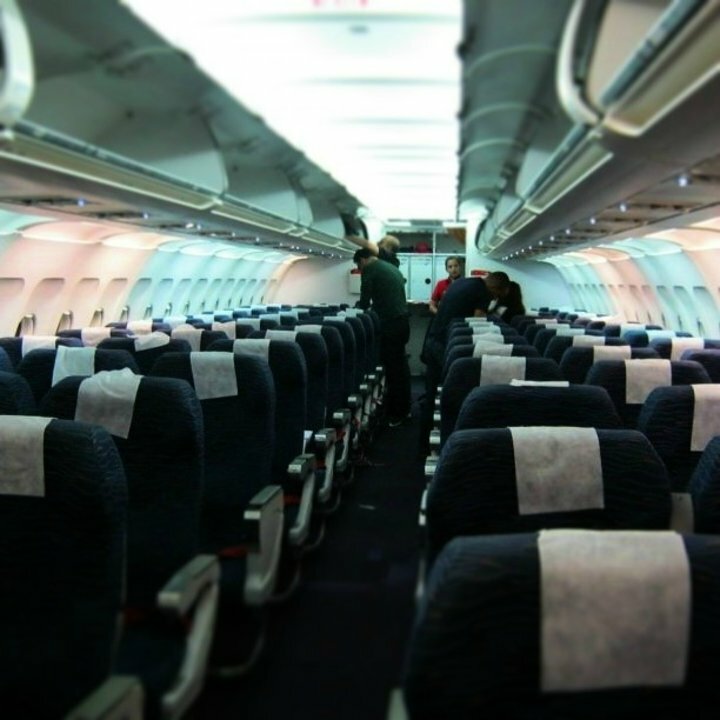 The A318 operates in a two class configuration with 12 Business Class seats and 88 Economy Class seats. 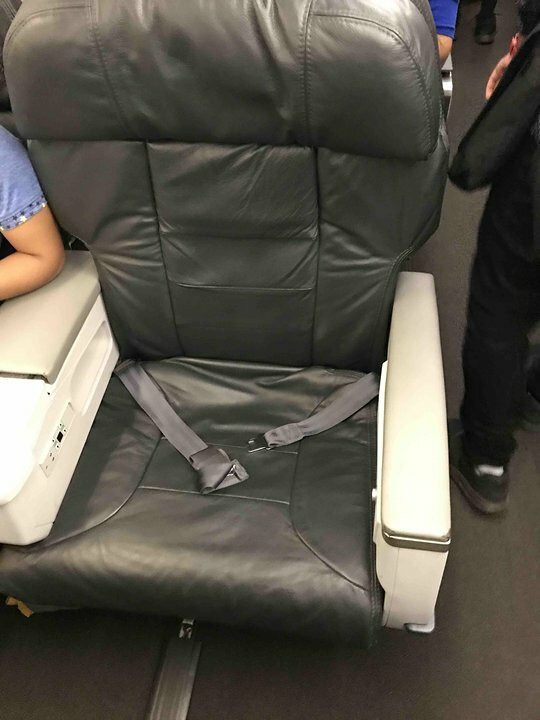 This seat is comfortable, especially for a few hour flight. The proxomity to the rr's mean you can hear every time the toilet flushes. Smooth flight and a great meal for economy. This seat is a pain, because it is in between 2 seats, especially when you have to go to the rr. The bathrooms are annoying, but thankfully not stinky or unclean. Muy buen espacio entre silla y silla, falta la pantalla de entretenimiento individual. Avianca flies 1 versions of Airbus A318 (318).